Deepak Sharma, chief digital officer at Kotak Mahindra Bank. Kotak Mahindra Bank was among the first Indian lenders to let customers manage bank accounts via social networking sites such as Facebook and Twitter. Now, the private sector bank is beefing up its digital strategy in a renewed effort to make life easier for its customers. 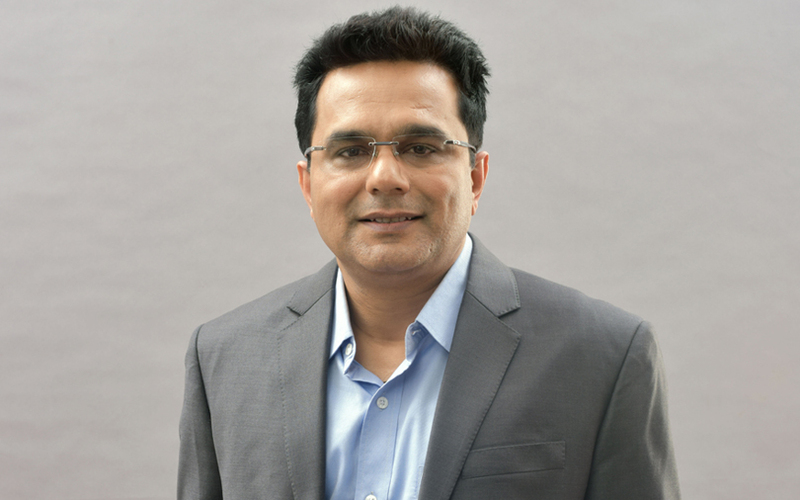 In an interaction with TechCircle, Kotak Mahindra Bank’s chief digital officer Deepak Sharma spoke about deploying emerging technologies and explained how going digital has boosted its customer growth. What are the newer technologies that Kotak Mahindra Bank is deploying? One of the key focus areas was to ensure seamless integration of the government initiative called JAM (Jan Dhan, Aadhaar and Mobile) so that we could use it to provide better customer services such as faster opening of accounts. We are also looking at alternative methods of payments in partnership with fintech companies. The third piece was to look at using robotic process automation (RPA) along with optical character recognition (OCR) to streamline a lot of our internal processes. We are also looking at artificial intelligence (AI), machine learning (ML), big data and analytics to streamline risk management, fraud detection and enhancing security at all touch points. We are currently running pilots to see how we can utilise blockchain. We are also experimenting with internet of things (IoT) but are far from a mainstream solution. How is integrating with JAM and exploring alternative payment methods helping customers? The JAM trinity is very powerful and what we are doing is leveraging the stack to make customers’ lives easier. Another use case that we are working on is to install biometric devices in bank branches so that customers who need to update some information such as the address linked to their account can authenticate it right there instead of filling up a form and waiting. We are looking at alternative payments because digital payments have picked up momentum since demonetisation and customers are looking to pay with ease instead of standing in long queues. We are currently partnering with 80 fintech companies who are working on new modes of digital payment such as QR codes, sound waves and the Unified Payments Interface (UPI) stack. And what do RPA-OCR, AI and ML bring to the table? The more efficient the processes are internally, the better service we can offer. We are using RPA to fashion bots with the help of machine learning to read and analyse data and workloads that would take considerable higher more and energy if done by a human worker. We use OCR with RPA to read documents such as updated salary slips so that the first line of validation is complete without the chance of an error, leading to faster loan disbursals and eliminating delays throughout the system. Our in-principle disbursal of home loans happens in under four hours compared to the four days it took before we turned digital. Another product that RPA influences is term deposits. It automatically maintains the required balance set by the user. Our bots can also start managing the risk portfolio and start providing insights in the form of reports. It can also quickly detect frauds. We are also using ML to make sure that the bank’s and customer data is kept safe. A number of banks have launched chatbots, virtual assistants and even humanoids. Is Kotak Mahindra Bank working on developing or deploying any of these assistive technologies? Most chatbots are meant for FAQs. We wanted to solve a real pain point and in the first week of April this year, we launched a virtual assistant that can converse in Hindi and English. What happens most of the time is that customers call up the call centre and wait to go through the IVR (Interactive Voice Response) and then finally latch on to the executive. We have changed that. As soon as a customer calls in, instead of the IVR, Keya, which is integrated into the phone banking line, activates and responds in a human-like voice. It eliminates the wait time and delves right into the concern. Since its launch, over 70% of all customers calling the contact centre are interacting with Keya every day, and she has enhanced our IVR conclusions by three times. We are also evaluating the potential of conversational banking on third party platforms like Google Assistant, Amazon Alexa, among others. What other customer-facing innovations has the bank undertaken? We have the 811 platform. It is the first-of-its-kind downloadable bank account available on web and mobile browser that offers paperless and real-time account opening. On social networks, we have launched a new pilot banking service on instant messaging platform WhatsApp. How does adopting these new technologies help the bank? Adopting digital strategies has helped the bank reduce its customer acquisition costs. A large chunk - around 60 to 70% - of customer acquisition has moved to digital because we can onboard and validate customers much faster. As of March last year, we had 8 million customers. With help from digital strategies, we closed the financial year 2017-18 with over 13 million customers.